So you go out with friends for the evening and promise yourself you will let loose and have some fun. You even allow yourself to be open to the possibility of a one night stand. Have a few drinks, meet a hot guy, take your clothes off, and after the lovin’, say goodbye. But what if that one night stand turns out to be someone you just can’t forget? What if you want more than one night? What if he does too? Do you stick to your original plan or do you reboot? Savannah finds herself in just this very situation when she wakes up to the gorgeous Luke. Their night of passion was more than she dreamed of, and apparently he enjoyed it just as much. When he pursues her for more than one night, she needs to decide if that’s what she wants. I’m pretty sure you can figure out how this goes. The good news is that despite its transparency, this little novella is fun – and HOT – to read. Alexia Haynes does a solid job of letting us get to know her characters in a compressed amount of time, as well as writing some hot and delicious headboard rockin’. Let me just say that if I were Savannah, there is no way I could settle for one night with Luke. It’s like dark chocolate covered caramels: can I stop at one? Uh, no. Enjoy this one for what it is: a quick, hot read with characters you’ll enjoy. When your mother names you after Queen Elizabeth, you might find it challenging to live up to the name. At the very least, you might find it challenging to avoid ridicule. For Queenie Wake, the name itself is not as big of a burden as her family history. Her mother, a fairly flamboyant diner owner, met with a grisly end, and Queenie’s sister, Merrie Carol, has remained in the girls’ hometown, where she raises her teenage son without benefit of the boy’s father. If this sounds tangled and vaguely gothic, then so be it. But I will let you know straight away that this is an enjoyable, entertaining book that will wrap itself around your heart and squeeze. Queenie is a sous chef in a New York hotel restaurant, where she harangues customers for their gauche taste in cuisine. (Never dare to put ketchup on eggs that Queenie prepares for you.) 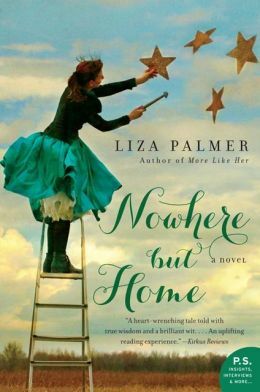 When she loses her job and realizes that another one is not in the offing, she reluctantly returns home to North Star, Texas, population quirky. Then there is Everett Coburn, the man who got away. He’s the son of a wealthy local family, and the high school romance he shared with Queenie was conducted entirely in secret. Queenie accepted it at the time – anything to be with Everett. But age and wisdom have caused her to be a little resentful. Alas, her irritation is not tempered by any noticeable lapse in attraction. When she sees Everett for the first time, all those old feelings resurface. Queenie gets a job preparing last meals for death row inmates, a sort of symbolic gesture of her own need to find closure for her mother’s death. Queenie’s life has been a long series of “last meals,” each ushering out one stage of her life as she begins a new one. This is one of those books that pulls you in its vise-like grasp before you realize that you can’t put it down. What could have been stock characters are instead fully realized and developed. You know these people, and you truly care about them. You want Queenie to find peace, and you want Merrie Carol to be accepted by her fellow townspeople. You want to understand Everett, and you want to hug Cal and ruffle his hair. Nothing wildly cataclysmic occurs, although the sisters do contend with some emotional upheaval. Despite it feeling like a well worn pair of slippers, nothing predictable occurs. You don’t feel as if you read this book before, even though the characters seem to be familiar friends. Read it. Enjoy it. It’s a good book. A few years ago, I read The Myth of You and Me, and I immediately was captivated by Leah Stewart’s storytelling. She is not a writer who feels it necessary to give us likable characters, nor does she back off from creating people who are deeply, almost painfully flawed. 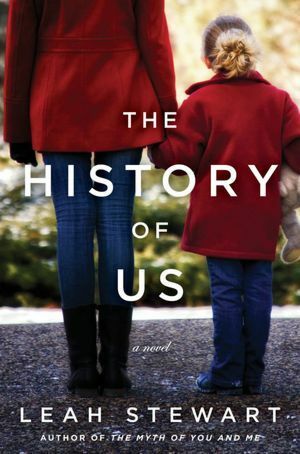 And so it is with The History of Us, which tells the story of three adults and the aunt who raised them. It’s been about twenty years since Eloise Hempel received the phone call that changed everything. An ambitious professor at Harvard, Eloise is about to teach a class when she learns that her sister and brother-in-law died in an auto accident. Eloise is the children’s guardian, and she must return home to Cincinnati to raise her two nieces and nephew, something that terrifies Eloise. She tries to enlist her mother, absent even from her life, much less the woman’s grandchildren, but to no avail. Her mother allows Eloise to move into her home, but as far as parenting her wards, Eloise is on her own. The story largely takes place in the present, with occasional flashbacks to how Eloise adapted to motherhood. Theodora and Josh were old enough to know their parents, but Claire was a toddler at the time of their death. Her memories are hazy, undetermined. She considers Eloise her mother, something that occasionally rankles not just Theodora, but occasionally even Eloise herself. Although Eloise considers herself the children’s mother, and although she is wounded thinking that they consider her anything but, there is still part of her that yearns for her pre-motherhood existence. Such ambivalence is one reason why Eloise is so believable – and also why she is so unlikable at times. She wants to get rid of her mother’s house, and when Claire moves to New York to pursue a career as a ballerina, Eloise believes she has her chance. Theodora, however, resists. Now, there is a character we alternately love and cringe over. As the one child with the clearest memories of her parents, we understand Theo’s need to cling to anything that represents their memory. In many ways, she thinks of herself as her siblings’ mother, more so than Eloise. And with reason; she shepherded Eloise through those first few years as a mother figure. Josh is a typical middle child, only son of three children. He’s somewhat flighty, having ditched a career as a successful musician. Whereas he could be crafted as a stereotypical screw up and slacker, Leah Stewart instead presents him as far more complex. When he begins a new relationship, we want him to succeed, even if his paralyzing self-doubt makes us want to slap him. And then there is Claire. SHE is the character we want to slap. Claire has a secret, you see, and her secret inadvertently binds the rest of the family together. Well, sort of. Leah Stewart won’t take the quick and easy path; instead, she continues to give us complexity. Like her aunt and siblings, Claire is not so easy to categorize. This family will fascinate you, and you will find yourself wondering if it’s possible for any of them to be happy. Stewart pulls you in to their story, making you feel fully invested in who Eloise, Theo, Josh, and Claire are, what motivates them, frightens them, frees them. Their mistakes are believable, their story told as if it could happen to one of us. Read this. Read it for the four fascinating characters at its center, as well as for its equally fascinating supporting cast. Read it to lose yourself in good storytelling and solid writing.